Princeton saw a new, improved option for neighborhood shopping yesterday, as ‘La Lupita’ grocery store hosted a ‘grand reopening’ of their new store at Leigh Avenue and John Street. La Lupita has been a stalwart in the Witherspoon-John neighborhood for years, at 50 Leigh Avenue. The new store is a few doors down, at 46 Leigh Avenue, right on the corner with John Street, and kitty-corner to Cafe 44/Tortuga’s. 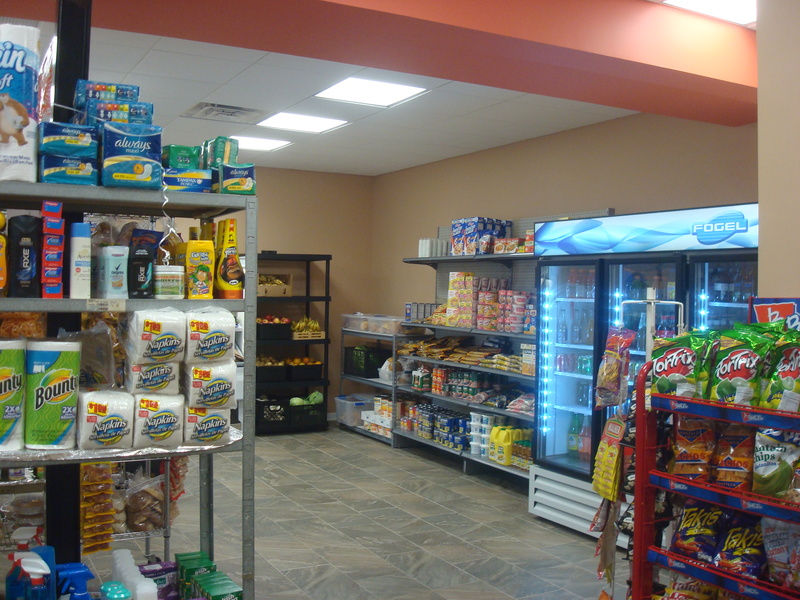 The new store is much more spacious and full of light compared to the old store. It stocks standard grocery items, with a speciality in Hispanic/Latino items. Inside the new La Lupita grocery store. (click to expand). For the grand reopening yesterday, the store was decked out with flags and balloons, and customers were offered free treats. Business seemed to be good. 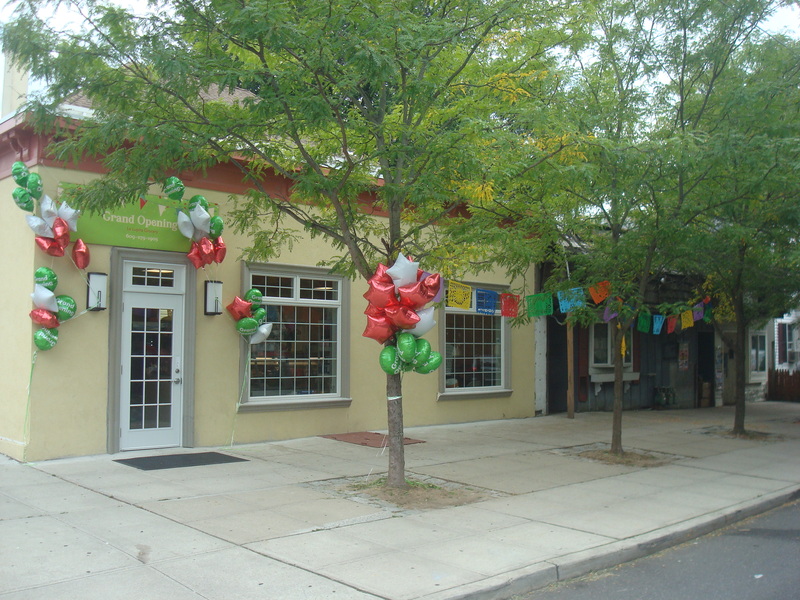 The opening of the renovated La Lupita is great for the Witherspoon-John neighborhood. There are few things that make walkable living easier than neighborhood grocery stores. (Unfortunately, many people in Princeton live more than half a mile away from such a store, meaning car trips are necessary even to get a carton of milk.) The new store opening follows the arrival of Aurelio’s eatery at 44 Leigh Avenue, just across John Street. Residents have great options right in the neighborhood, and the new La Lupita could also be a benefit for residents at the AvalonBay apartments, which are currently under construction one block away at Witherspoon and Leigh Avenue. This entry was posted in Downtown Vibrancy, Princeton and tagged openings, Walkability. Bookmark the permalink.